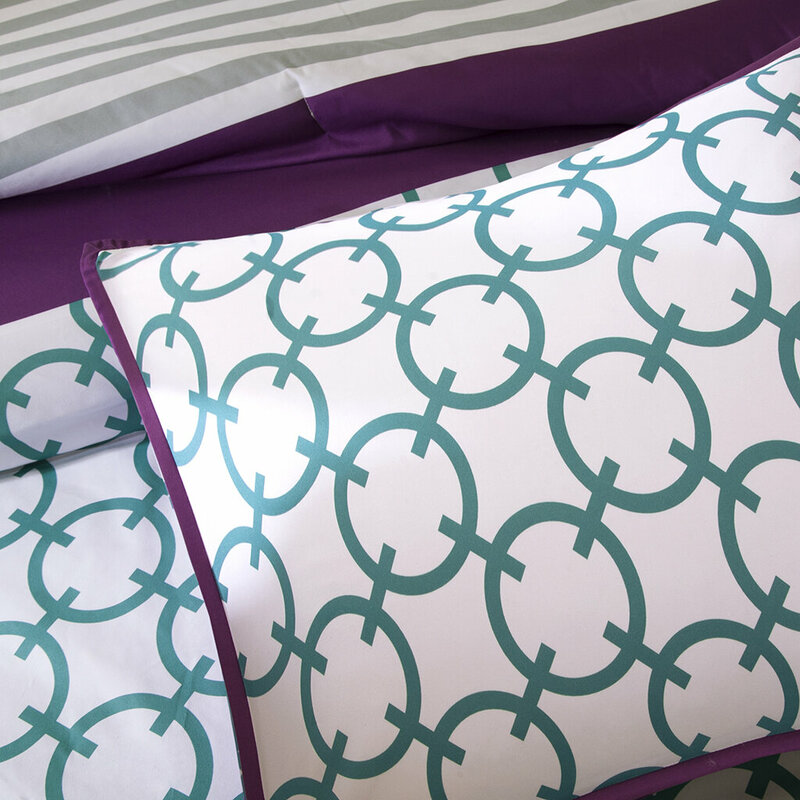 This purple geometric circle pattern duvet set is a great look for a teen room. 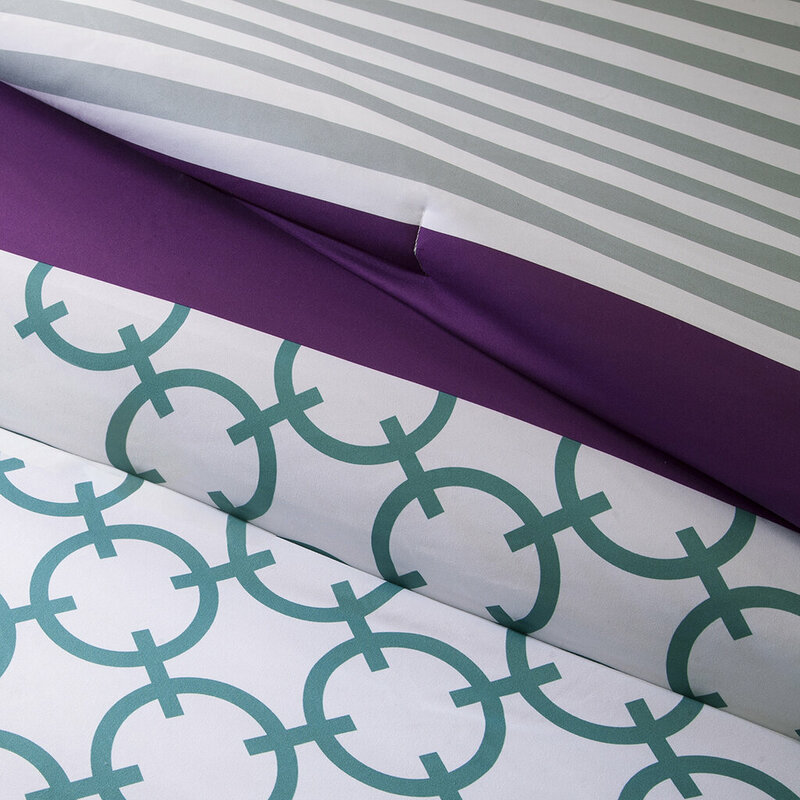 Geometric patterns are very popular right now and this particular duvet set is made of 100% cotton. This high-quality purple cotton duvet is made of a tightly knit, fine woven cotton that makes it comfortable and durable. There are concealed snaps so that it adheres to the bed with a perfect sleek fit. 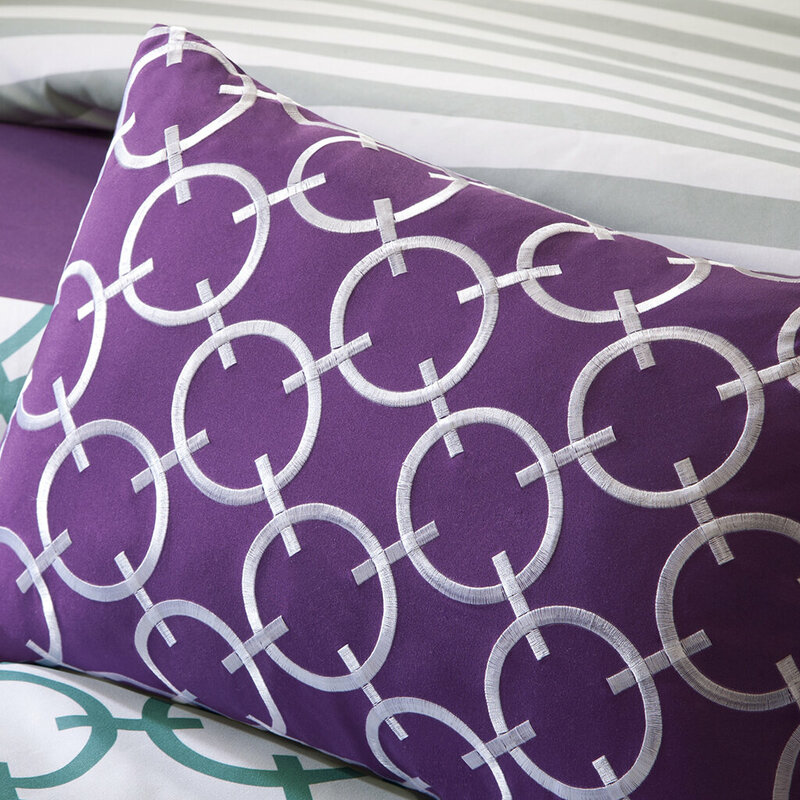 This purple geometric pattern duvet really sets the tone in a teen bedroom; it comes with the duvet and 2 pillow cases. This Ikea Lyckoax duvet cover and pillowcases are made of a satin-woven cotton which gives the bed a softer, more lustrous look. It's made of a durable material that is soft, comfortable and of high quality. I love the circular doily style pattern and the colors lilac, lavender and white all combine beautifully. 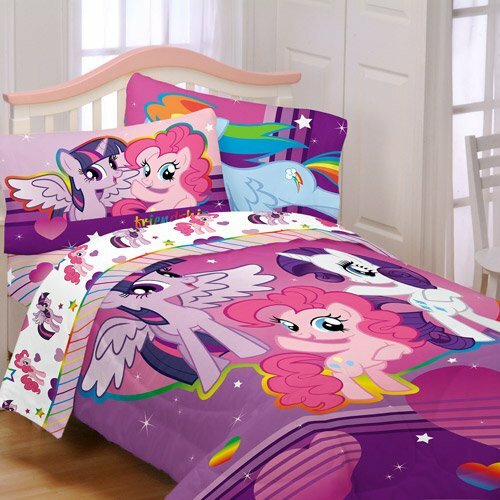 This is a Full/Queen size duvet cover that includes the lovely matching pillowcases. A duvet is a nice light alternative to a comforter and it can be enjoyed a variety of ways. This is the Wild Cat bedding collection and it features a reversible comforter that has purple cheetah print and black, grey and white flowers on one side and a purple cat scratch design on the other. 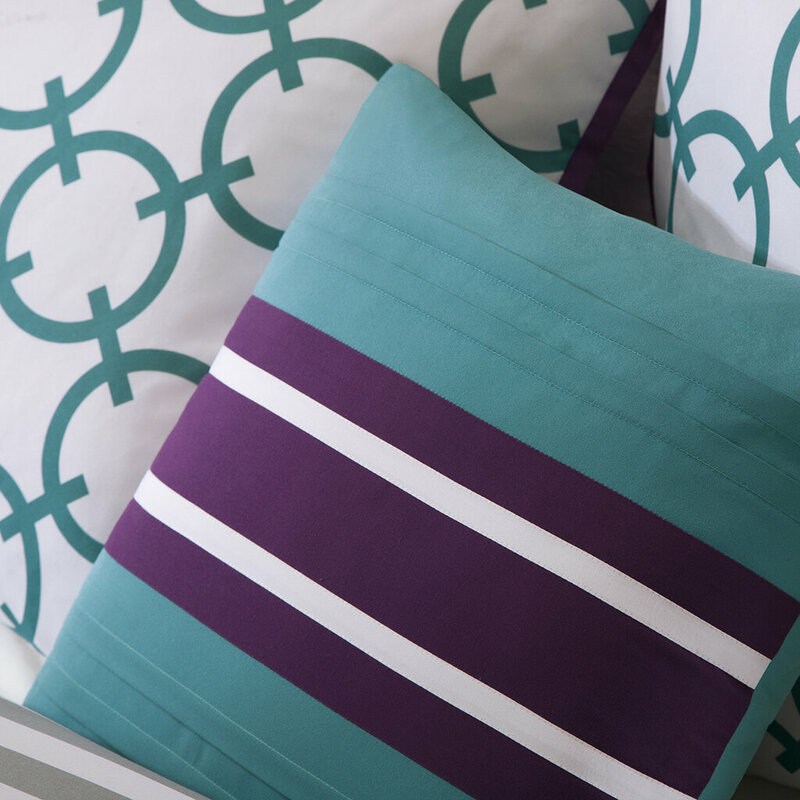 It's a modern bedding set that girls love. This is a high quality, soft comforter that feels great pressed up against your skin at night. Available in Twin, Full, Queen, King and California King sizes, this set includes the reversible comforter, shams and accent pillows (twin only has one sham and pillow). I am totally loving this purple plum and lavender reversible bedding set because you get two looks for the price of one. It comes in five different reversible colors. The colors are brown and gray, navy blue and medium blue, turquoise and lime green, and lastly fuchsia and tangerine. 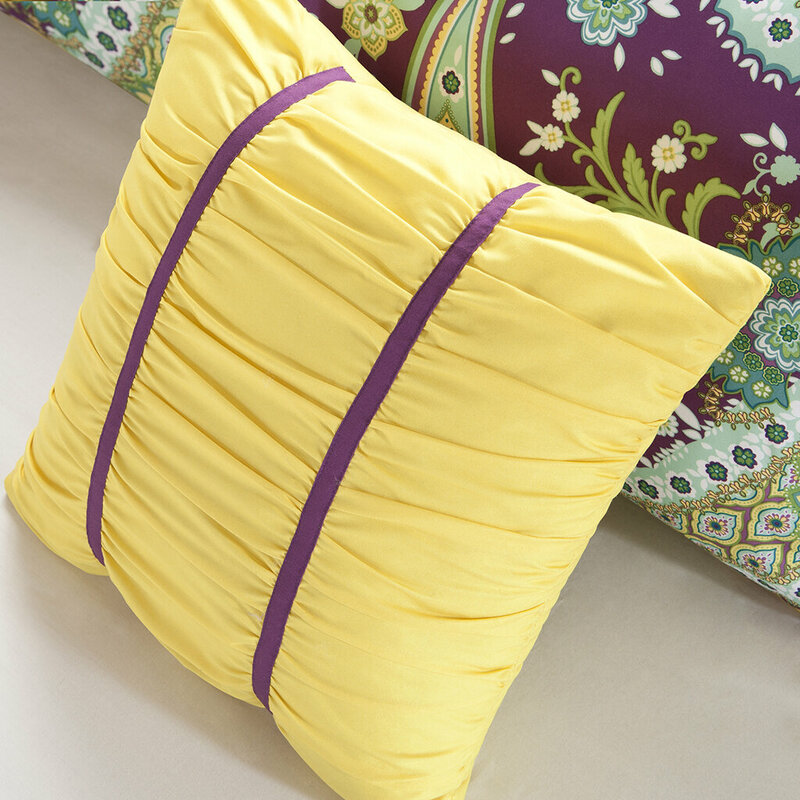 This purple plum bedding ensemble includes the reversible comforter and two standard pillow shams. It's made of 100% microfiber so it's machine washable. Available in twin, queen and king sizes for any bedroom type. I love PURPLE CHEVRON! 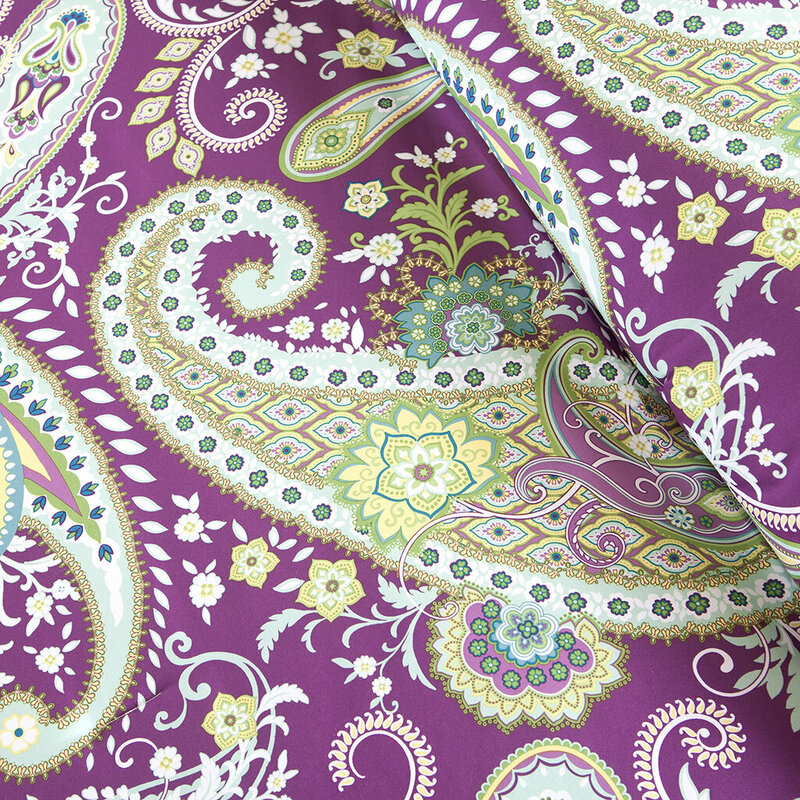 This is one of the hottest prints in home fashion as well as apparel. This print has been this popular since the 1970's. 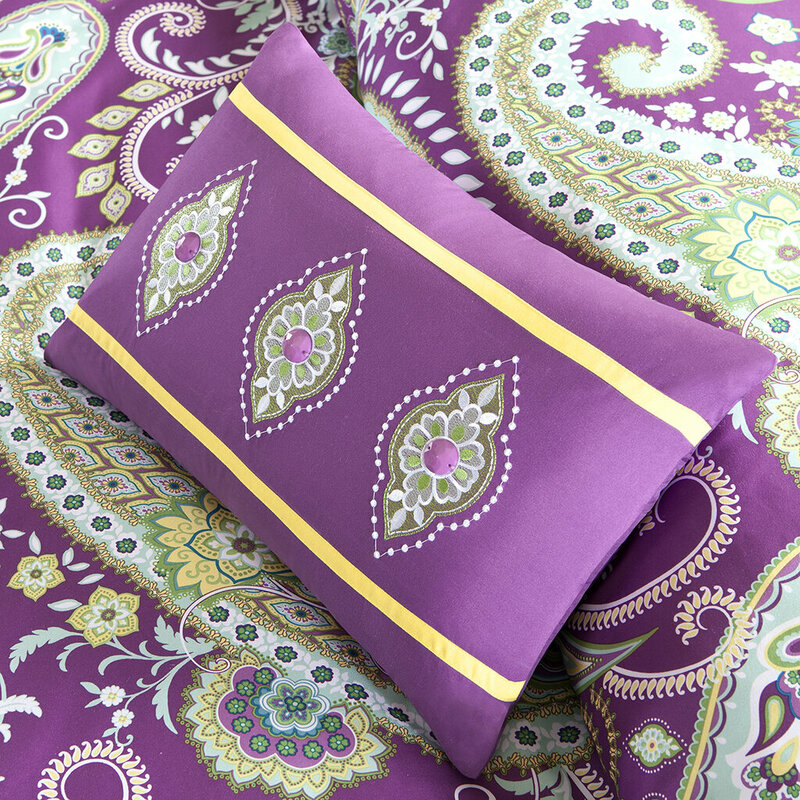 I love this bedding set because it uses two shades of purple; a purple and lavender mix. The sheet set, which includes the pillow case is striped and it offsets the chevron zig zag pattern beautifully! This set is available in a Twin, Full, Queen and King size set and includes the duvet cover, two matching pillow shams, a fitted sheet, flat sheet and pillowcase. It's made of 100% cotton and is machine washable on delicate. 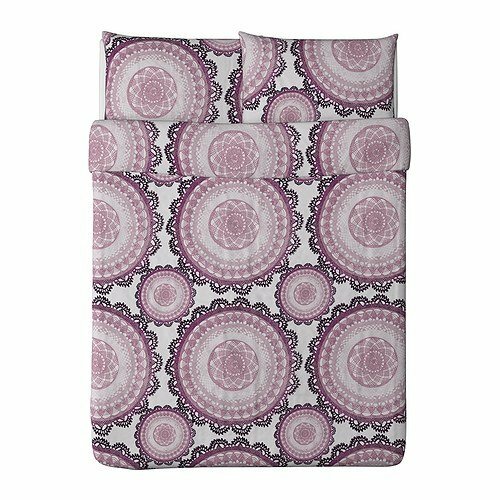 The soft duvet cover has purple and white oversized zig zag pattern in two lovely shades of my favorite color! The purple, lavender and white make a great color combination for your bedroom!